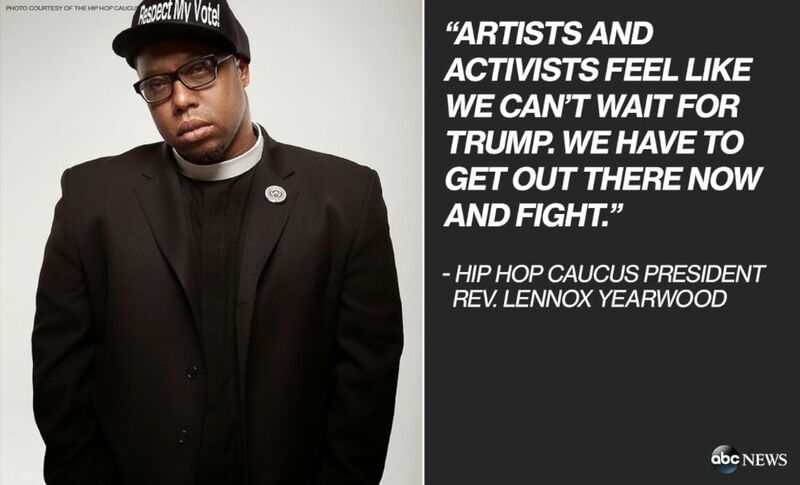 Upon jumping into the political fray, Donald Trump -- the business mogul-turned president -- who was hailed for his wealth and power in lyrics for decades, quickly became hip-hop’s public enemy, number one. While Trump still dominates the headlines and drives a congested news cycle, in many of the top protest songs of 2017 and 2018 -- some of which have topped the charts, there is virtually no mention of Trump. And that's because, for a number of activists and artists -- including Jay-Z, Kendrick Lamar and T.I. 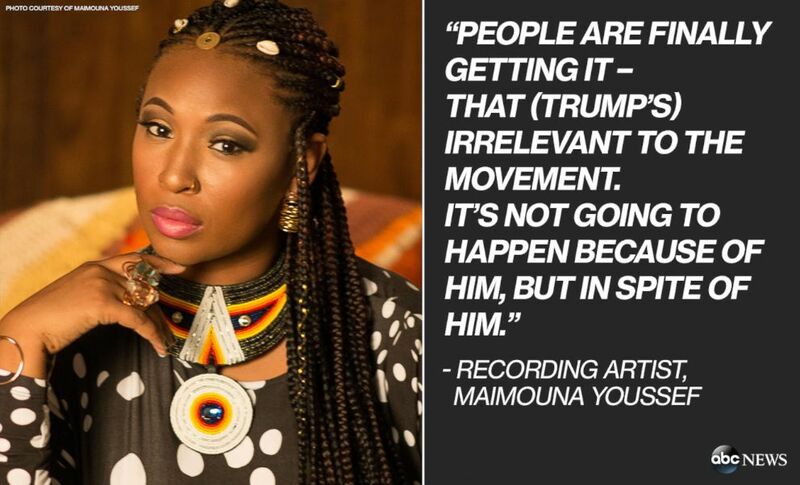 who once celebrated Trump's wealth and power in past lyrics -- there is so much more to discuss. 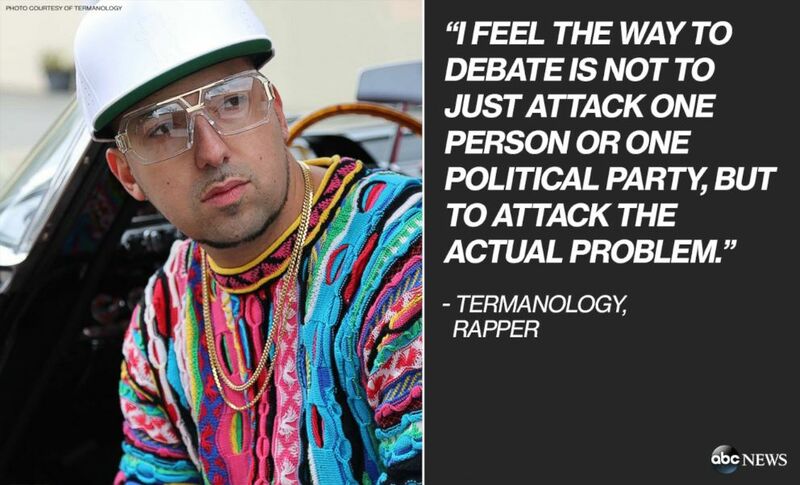 Songs like Childish Gambino’s “This is America,” Nas’ “Cops Shot the Kid,” Janelle Monáe’s “Americans,” Meek Mill’s “Stay Woke,” Vic Mensa and Ty Dolla Sign’s “We Could Be Free,” Rapsody and Kendrick Lamar’s “Power,” and a trio of singles released by the Black Eyed Peas, don't utter Trump’s name once. The video for “This is America,” -- a provocative commentary about the black experience and the degradation of black bodies and black culture over centuries -- is so steeped in historical and modern-day symbols that cultural critics are still unpacking its meaning months after its May release. Describing it as “a song that speaks to your existence,” Yearwood said that “This is America” is reminiscent of “We Shall Overcome” -- the gospel song that became the anthem for the 1960s civil rights movement. The song was so well-received in the mainstream that it debuted at No. 1 on the Billboard Hot 100 -- a spot that is rarely held by such explicitly political songs. Jay-Z, who on several occasions in years past lauded Trump's lavish lifestyle and wealth, has since criticized the former business mogul-turned-president's comments. But Trump barely ranks a name drop in Jay-Z's most recent tracks. Instead, the veteran rapper who has increasingly become a vocal proponent for criminal justice reform, reflects on the black experience in America in his Grammy-nominated album, "4:44." For instance, the song “The Story of O.J.” explores the subjugation of African-Americans in media and culture over history and examines black stereotypes through the use of black and white cartoons. "I told myself, I told God the moment that I got out of my situation and got back, feet on the ground, I would participate in being a voice for the voiceless," he said in May. And finally, in one of the starkest artistic evolutions of late, the Black Eyed Peas -- who are generally known for upbeat and poppy party jams like “I Gotta Feeling” and “My Humps” -- made a comeback in 2018 striking a dramatically different tone. Even those who don’t seek out political music, would have found it difficult to avoid social commentary over the last few years because it has seeped into everything from club bangers like YG’s “Big Bank,” viral hits like Kodak Black’s “Tunnel Vision,” and R&B jams like Miguel’s Billboard-charting hit, “Come Through and Chill,” featuring J. Cole.